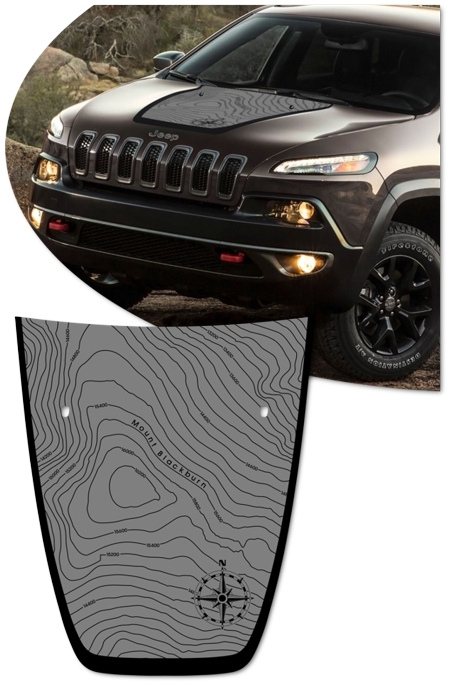 Add a tough look to your '14-Current Jeep Cherokee! 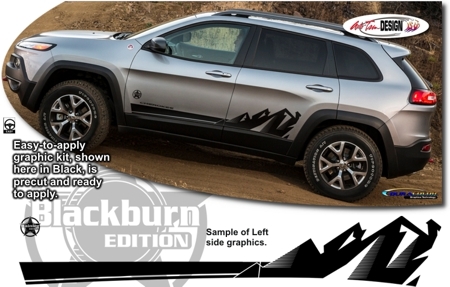 This awesome Blackburn1 Edition body side graphics kit is designed to fit perfectly on your Cherokee's lower door panel areas as shown. Available in four (4) print colors (Black shown), kit is precut - NO TRIMMING required.